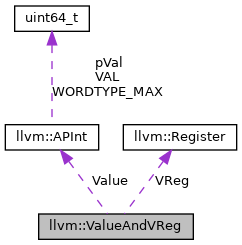 Simple struct used to hold a constant integer value and a virtual register. Definition at line 98 of file Utils.h. Definition at line 99 of file Utils.h. Definition at line 100 of file Utils.h.